It's hard to feel sorry for them since they clearly have money to spend, but the modern consumerism pressures experienced by them shouldn't be easily discounted. Meet the 'yueguangzu', Chinese that cannot keep their income safe in the bank. Li Chun, 24, has graduated from college last year after majoring in economics. Originally a village girl from eastern Shandong province, she recently found a job in a growing international company in the city of Weifang (two hours drive from her hometown), earning 3000RMB (nearly $500) per month. For a rural girl, this salary is a boost the her self-esteem and potentially to her bank account as well, reaching an income that her 52-year-old father achieved only two years ago in his work in an agricultural industry. Li Chun doesn't want to blow this great opportunity which is bringing her few steps away from the scent of the urban middle class. In order to belong and not to reveal her 'backward' origin, she must take care of her appearance. Brand-name clothes and bags, top class cosmetics (god didn't provide Li with natural beauty) are always covering her skin. Li needs to pay extra attention, as an eye for fashion isn't rooted in her genes. Saving her 'face' (mianzi) is also evident when she eats with her co-workers, and especially her managers, as she avoids the 3 RMB street snacks in favor of 20-30RMB meals. Money comes and goes, but her work position must be guarded with both hands, even if until now she didn't manage to save more than 3% of her monthly salary, making her parents astonished, and quite disappointed, I must add. Wang Bing is a 28 year old engineer working in Wuhan where he also grew up. As he was born and raised into the middle class, his parents don't really need his financial aid, even though he's making a nice 7500 RMB (around $1200) monthly. Finally, he has a serious girlfriend (who he met through friends 10 months ago) and he has a real motivation for money-saving - Marriage and his own apartment (at present he's renting a 45sq m flat by himself). After all, popular surveys show that most women expect their groom to provide a flat upon marriage. However, habits aren't easily changed, and with the Armani suits he purchases monthly, the Japanese car he owns since last year, and the weekly dinners he's buying for his male co-workers, there's no visible prospect for money-saving anytime soon. Sure, he isn't a poor fellow and his future wife will probably enjoy his increasing incomes one bright day, but frustration is slowly creeping in. 月光族 yueguangzu has been a popular term in the last decade, describing youngsters like Li and Wang, who are enjoying opportunities spread by the market economy, but somehow cannot make their bank account enjoy them. 月 'yue', meaning 'moon', stands for 'monthly income' ('moon' here indicates 'month'), 光 'guang' is short for '花光' (huaguang) which means spending all one's money, and 族 'zu' means 'group' or 'clan', adding up to 'the (monthly) salary spending-group' or, in other words, young adults whose income just slips away through their fingers (每个工资花光光). Much is spoken about high apartment prices, taxes and growing expenses in the competitive Chinese urban environment, and obviously, this makes it difficult for working individuals to keep their salary complete in their bank account. But unlike the '蚁族们' term (yizumen 'ants'), referring to the hardworking life of urban residents, the yueguangzu are not merely victims of high prices, but are proud consumers (消费者 xiaofeizhe) and an outcome of changing money-spending values. While Chinese born during the 1970's (or before) seem to cherish money saving, 80hou and 90hou (post 80s and 90s) Chinese are more associated with reckless spending and a materialistic lifestyle 物质生活 'wuzhi shenghuo'. Parents of the youngsters are likely to tell them something like '会赚不如会省 hui zhuan buru hui sheng' - 'being able to earn money isn't as good as being able to save it'. As it is seen from the cases of Li Chun and Wang Bing, although the yueguangzu have decent incomes, they don't necessarily share the same socioeconomic background. For Li Chun, her peasant background is actually motivating money spending, buying brand name merchandise and staying in fashion (时尚 shishang) at all cost. At the same time, middle-class citizens (such as Wang Bing) perhaps have less to prove, but they still enjoy greater consumerism opportunities every year, which, when being realized, have a big effect on their money-saving prospects. What is the approach of the yueguangzu regarding their money-saving failure? Some absorb a growing frustration and are attempting to change their spending patterns, starting, perhaps, from saving 10% of their income and moving up from there. 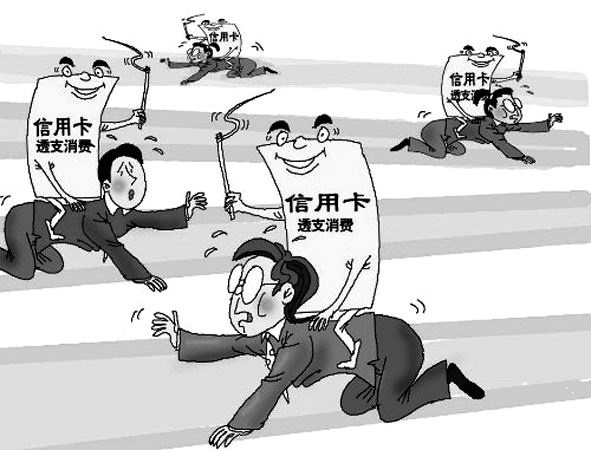 But the yueguangzu as a public expression refers to those who are rather trapped in their spending loop and aren't doing enough to get out, or simply lack responsibility to do so. The illusion (or true assumption in some cases) that 'money makes money' leads them to adopt sophisticated, yet energetic, consumerism habits, believing that all their spending would improve their social position and make them better candidates in future 'capitalist races'. In other words, they are building a solid foundation for a successful financial adult life, even if this foundation seems quite abstract and rickety. For the yueguangzu staying outside the consumerism cycle means being irrelevant, not participating in the marketed Chinese society and even being of 'lower personal quality' (suzhi di). The pace of development in China is both promising and misleading. As salaries rise, the yueguangzu have many reasons to believe that they are on the good track and will be paid off eventually. After all, they are working full-time in decent jobs and earning meaningful salaries, something that cannot be said about every Chinese their age, to say the least. The question is whether the ratio of their daily expenses within their overall income will be reduced eventually, or will it continue to grow in along with China's development. 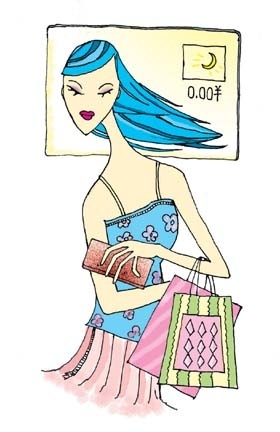 Overall, the yueguangzu is a term that evokes different social emotions: Sympathizing their frustration and the money-saving difficulties of the modern era; appreciating the fashion, money-earning and social networking skills of these youngsters or on the other hand condemning their irresponsible consuming behavior. Without denying the responsibility that yueguangzu individuals carry for their situation, it is clear that this group demonstrates many forces that work upon the modern-urban Chinese citizens, and shows that for young Chinese the definition of life 'necessities' is very broad and complex.